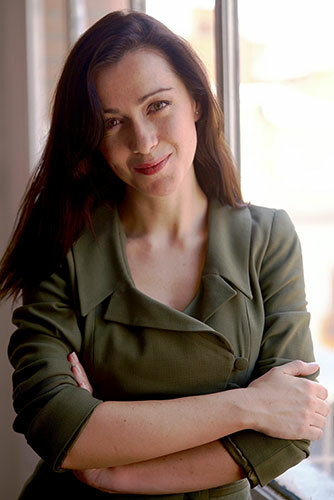 Founder of Change Dyslexia (www.changedyslexia.org), a social organization to screen and treat dyslexia using Dytective, a research based platform for dyslexia. Systems Scientist (Research Associate). Human-Computer Interaction Institute at Carnegie Mellon University, Pittsburgh, USA. Research Interests: eHealth, Dyslexia, Linguistics, Human-Computer Interaction, Web Accessibility, Natural Language Processing, Education, Mobile for Good. Cartier Women Iniciative Award Finalist. New version of Dytective.org to screen and support Dyslexia. 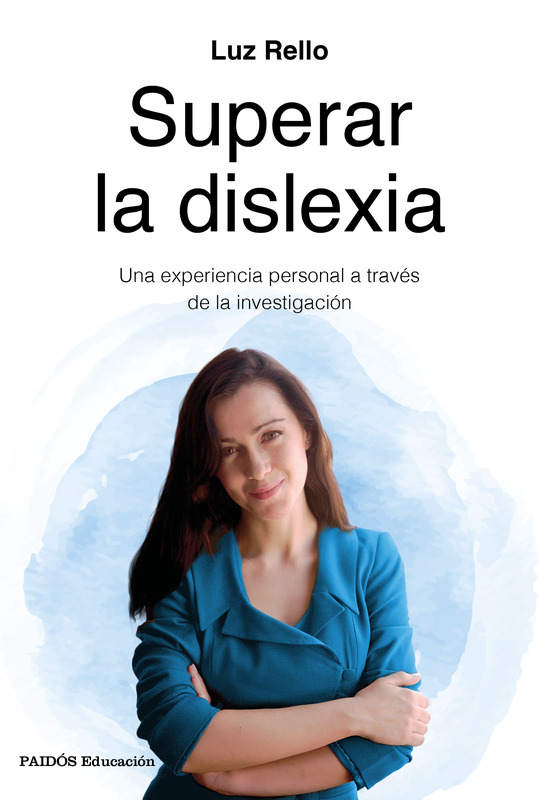 New book "Superar la dislexia". Change Dyslexia integrates in Dytective our reseach results to overcome the three barriers of dyslexia worldwide: the fact that dyslexia is a “hidden disorder” and it is under-diagnosed, most people do not know that they have dyslexia; the reading and writing difficulties derived from dyslexia; and socioeconomic barriers. 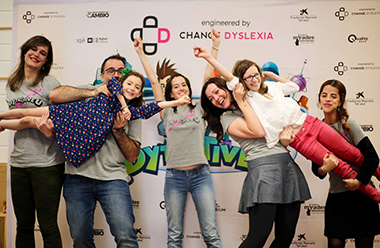 Dytective Test: free screening of dyslexia in Spanish. DytectiveU: a radically cheaper treatment by play with 40.000 personalized exercises. 140.000 children in 55 countries used Dytective Test for free. Over 250 children in 15 schools received scholarships by Change Dyslexia. Forbes (Spain) - Change Dyslexia selected for Four startups revolutionizing eHealth, 2018. Forbes 30 Under 30 List by Forbes Spain Magazine, 2017. Princess of Girona Award, Social category by Princess of Girona Foundation, given to one individual per year by the Spanish Royal Family 2016. New Researcher Award by the International Dyslexia Association, 2016. Social Entrepreneurship Grant by Obra Social “La Caixa” Foundation, 2016. Semi-finalist at the International Competition de United Arab Emirates Artificial Intelligence and Robotics Award for Good (7th position among 664 entries) for the algorithm of Dytective Test, 2016. Best Demo Award for the app Dytective in ACM ASSETS (top conference of computers and accessibility), 2015. MIT Technology Review Top Innovators Under 35, Spanish edition, 2014. Social Innovator of the Year by MIT Technology Review, Spanish edition, 2014. 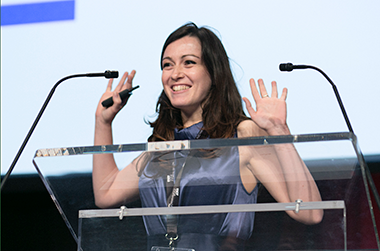 First prize of the Vodafone Foundation Mobile for Good Europe Awards (Education Category, 200 entries) for the application Dyseggxia (preliminary version of DytectiveU), 2013. European Young Researchers’ Award by the EuroScience Foundation to one individual per year, 2013. Bank Santander Premium Scholar. Ibero-american Scholarship for Young Researchers, 2012. Google Anita Borg Memorial Scholarship for Europe, Middle East and Africa, 2011. Third National Prize for Academic Excellence (best national performance in B.A. Linguistics) awarded by the Spanish Ministry of Education, 2008. I am co-author of one filed patent, one book in Spanish (two editions), 9 indexed journal papers, 34 conference papers, two book chapters, and co-author of 46 other publications. According to Google Scholar there are approximately 1,000 citations to my work with an h-index of 18. See my Google Scholar profile in https://goo.gl/gmgEDe. Currently, I am working on a book on dyslexia and the research behind our tools, to be published in 2th October 2018 by Planeta Group (Paidós Educación), the main publisher company in Spain and Hispanic America.